50 cents for each additional piece, including copies of The Cardinal Collection. yusuf at umich dot edu. 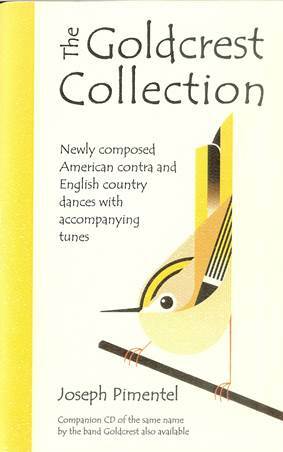 The companion book to The Goldcrest Collection CD, with instructions for twelve English country dances including "The Treasure of the Big Woods, " "Mr. Millstone's Inauguration," and "Mile of Smiles, " as well as eight American contra dances including "Hotpoint Special" and "Changeling Intuition." A table of contents lists formation, difficulty level, and brief notes. The text for each dance includes teaching notes and background information, similar to those seen in the dances posted on the website. You can also read the introduction.